This Tuesday at Brown University, Rhode Island Attorney General Peter Kilmartin will host a forum to address medical marijuana, and the legal policies surrounding it, with an open audience. Rhode Island AG to Host Marjiuana Forum Kilmartin wants to explore ideas from the community about how to improve the current system, and what they can learn from other states where marijuana is both legal for medical purposes, and even recreational purposes. There is currently a big initiative within the Rhode Island government to overhaul the current system and allocate new funds towards fixing it in the 2017 budget. 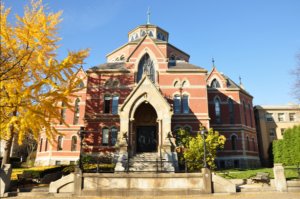 Tuesday’s forum at Brown will be attended by state legislature representatives from Rhode Island, as well as a city representative from Denver, CO, and Washington state. Massachusetts State Senator Jason Lewis, who is the chairman of the Massachusetts Special Senate Committee on Marijuana, will also speak. These speakers will try to help local lawmakers lay out a feasible path for constructive marijuana regulation for Rhode Island. The idea is to share and discuss ideas in order to make the current laws feasible, and improve on regulation and patient distribution. Rhode Island Governor Gina Raimondo initially got the ball rolling on marijuana regulatory overhaul last month, when she brought up the idea at the 2017 budget meetings. The state, which has had legal medical marijuana since 2006, has had a number of complaints about how it’s been regulated, and is currently struggling with an overwhelming demand from both patients and caregivers for new licenses. There has also been a lot of pushback from businesses in the medical marijuana industry, who claim current regulations are unfair, and often cost them business due to legal oversight.